Lawsuit Against Nissan For Transmission/coolant Issue - The attached link will take you to the actual Law firm that is handling the lawsuit against Nissan for continuesly ignoring the defect on their Nissan vehicles 2005 and 06. where the coolant has leaked into the transmission and causing complate failure. Go to the site and add your information. I'm hoping the lawsuit will have more meaning if you let them know of your experience with your Nissan vehicle. Radiator Assembly Customer Satisfaction Program - Nissan has decided in the interest of customer satisfaction, to further extend the warranty for the Radiator Assembly on all 2005-10 Frontier, Pathfinder, and Xterra vehicles equipped with automatic transmissions. 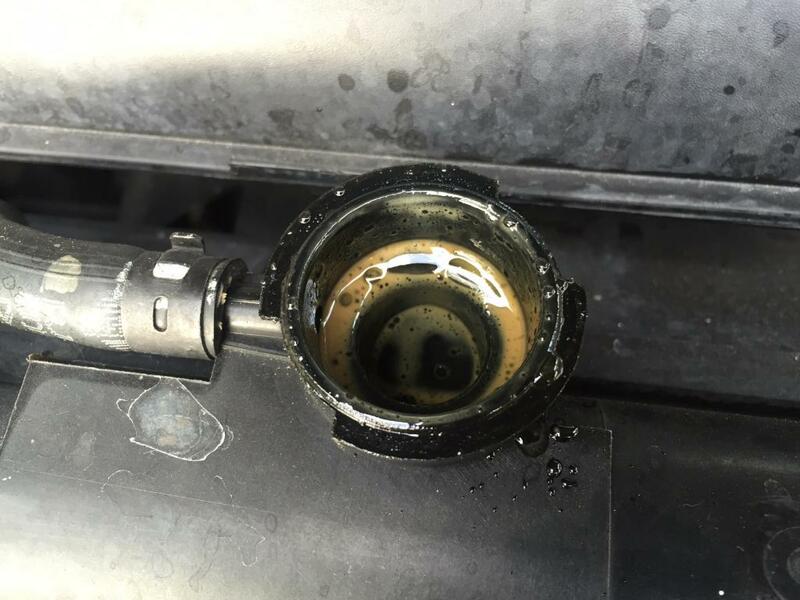 On a small percentage of vehicles, an internal crack on the oil cooler tube may occur leading to internal leakage of engine coolant. While the majority of vehicles will not experience this issue, for customer satisfaction purposes, Nissan has decided to further extend the coverage of the New Vehicle Limited Warranty on the radiator assembly, subject to certain customer co-pays that vary with age/mileage. The New Vehicle Limited Warranty coverage on applied vehicles for the Radiator Assembly (original terms 3 years/36,000 miles) will be extended from the current extension of 8 years/80,000 miles to 10 years/100,000 miles (whichever occurs first), including damage, repairs, replacement, and towing resulting from this issue. With the additional extension, the following warranty coverage and corresponding customer co-pays will now apply: Up to 8 years/80,000 miles (whichever comes first): No customer co-pay After 8 years/80,000 miles (whichever comes first) up to 9 years/90,000 miles (whichever comes first): Customer co-pay is $2,500 After 9 years/90,000 miles (whichever comes first) up to 10 years/100,000 miles (whichever comes first): Customer co-pay is $3,000 As with the prior extension, this extension of warranty on the radiator assembly will cover damage caused to other affected components, including the vehicle transmission, as a result of an internal leakage condition in the radiator assembly. However, existing powertrain coverage applicable to the transmission (5 years/60,000 miles) otherwise remains unchanged. My wife drove the car to the store and ended up getting stuck. We thought that it didn't have enough transmission fluid so she purchased a tool kit and some fluid and then went back to the car. With some help, she checked the fluid level and it was a little low. We have had other issues with this vehicle and have found out that Nissan has recalls for them. We were never informed, as a purchaser, about the recalls. Nissan needs to address this issue and the issue with the gas reading that we have been just living with. Now, we have a vehicle that has cost us thousands that is just sitting. This is either a major design flaw or a dangerous way for the company to save money on its design. The radiator failed resulting in coolant and transmission fluid mixing together causing catastrophic failure of the transmission. This failure can happen any time and will usually go unnoticed until it is too late and the driver starts experiencing issues while driving, which in turn can cause a crash or serious injury or even death. Nissan should have done a recall and fixed the issue by adding a transmission cooler to separate the fluid from going through the radiator and thereby eliminating the chance of catastrophic failure of coolant and transmission fluid mixing and destroying the transmission. IT STARTED AS A JERKING BETWEEN 40 AND 65 MILES HOUR. WHEN ACCELERATING IT WOULD STOP. SPOKE WITH MY MECHANIC. HE KNEW EXACTLY THE PROBLEM AND STATED ''NISSAN HAD NUMEROUS COMPLAINTS, BUT REFUSED TO DO A RECALL". FELT IT WAS A DEFECT OF DESIGN. ATTEMPTED TO REPLACE RADIATOR AND FLUSH THE FLUIDS THAT HAD MIXED $850.00.IT DID NOT WORK. SO IT HAD TO HAVE THE TRANSMISSION REPLACED. MY PATHFINDER WAS BOUGHT NEW. I WOULD NOT EVER BUY ANOTHER OR RECOMMEND ANYONE TO PURCHASE ONE EITHER. HAVE HAD NUMEROUS ISSUES. POOR INTERIOR,CATALYTIC CONVERTORS, PAINT. My truck is still not working and I can't afford to have it fixed. In March 2014, I spent $5000 getting this 2006 Nissan Pathfinder fixed. Two of the catalytic converters went bad and now the dealer is saying that the transmission needs to be replaced because looks like the coolant seeped into the transmission and I missed the deadline for the recall. No information was sent to me regarding this problem until I took it in the dealership when the truck began stalling on the road and had no power. I have only had issues with Nissan vehicles and I would not purchase another Nissan vehicle. Totally ridiculous that Nissan does not back there product! They have cost the consumer so much money having to fix vehicles that should have been recalled and fixed by Nissan! I'm in that situation right now with my 2006 Nissan Pathfinder that I bought new for $36,000! I'm waiting now to here from consumer affairs to see if I can get assistance for a repair bill of $5,900.00. This particular problem with these radiators should have been recalled right from the start! Nissan has lost a lot of customers because of this and I don't think they even care! This bill should be paid 100% for everybody, but we all know how that turned out! I'm still waiting, when I get my answer I will write another review on this! Wish me luck, yeah right! I think I will end up another Nissan hater! So sad! Annoying that I was never given a recall notice. In 2014 while driving, I noticed when gas pedal pressed, car seemed unresponsive for a few seconds. Took car to dealership where they discovered the transmission fluid was intermixing with coolant.Replaced the transmission and radiator. IT IS NOW 2018 AND THE SAME THING IS HAPPENING! TOLD MUST HAVE A COOLER BYPASS INSTALLED. NISSAN CUSTOMER AFFAIRS SAYS IT MAY NOT HELP AND I AM 100% RESPONSIBLE FOR THE REPAIR. Already had a new radiator and transmission installed in 2014, covered by warranty. but by a couple of days.I had not received any recall from Nissan. Just felt the car wasn't running as it should and took it to dealership. Well it is now Jan 2018 and the same thing is happening. They want to install a bypass cooler. I have reached out to Nissan Consumer Affairs, all they say is I'm out of warranty and that the fix is recommended by the dealership not Nissan. It not only happens with Nissan, I believe some Ford and Toyota models have had the same problem. Maybe car manufacturers need to reconfigure the system. Bought this car in January for $7200 from Tio Charlies Auto Dealer in Englewood, CO. He stated that the 05's had problems but not the 06's basically just trying to make a sale and worked past by better judgment. Now August the transmission gave out thumping noises under the car and gets stuck on third gear. Gave me problems when driving on the freeway by shaking out of nowhere. I am a working American that is busy throughout the week and no transmissions shops are open on the weekend. Finally couldn't drive my car because of the coolant leaking into the transmission, has the milky yellow liquid in there and no I take the bus to work because all the money I saved up I used to buy a Pathfinder in cash. I was happy and thought this car would last and help me in the winter but it has left my savings account empty with no car and taking the bus to work. I bought within my budget and didn't expect to spend another $4000-$5000 to be able to use my car. Called Nissan dealers and the warranty expired last year, so no help there. Just feel everyone is like F you and you are on your own. Just feel let down and in a slump. I just purchased this damn truck, the mileage was great. I was driving then the check engine lights appears. Just my luck, I had a diagnosis completed. The Auto Trans speed sensor need to be repaired, My mechanic flushed the transmission then went to replaced the part when he stated that the transmission and the radiator has to be replaced and there is and open investigation on the vehicle because fluid from the radiator into the transmission. He showed me the muddy fluid, I was livid. I really need my truck. This is some BS and Nissan knows it. This problem is overwhelming due to everything I'm going through right now/ My Nissan Pathfinder is parked in the back of my driveway due to the transmission not working, and my AC not working. It's costing me 5,000 to fix. I don't have another car to drive and getting the 5,000 to fix it is too much money. HELP I don't know what to do, this is also my vehicle to work and take my kids to go where they need to be. Nissan got away with this bad design and not having to do a recall. This is so wrong. I tried to make a deal with Nissan that I would pay the labor for the transmission if they would pay the parts and tax. They have flat refused to work with me at all. I already replaced the radiator and cooler, and flushed the transmission twice trying to save it. It did not work. I cannot sell this car because of the of stigma of the Nissan "milkshake". The dealer wants $5352.00 for the transmission. My car won't sell for that much. I am retired and live on a pension. I paid $36,000.00 for this car!!!!!!!! Living on a pension will never allow me to purchase a new one ever again. Because of this, I may spend my old age on foot. This is so wrong. Nissan should standup and help. I will never own another Nissan!!!!!!!! Nissan should be banned from selling vehicles in the US with known issues that they don't recall. The radiator was defected and the fluids from the radiator leaked into my transmission causing me SERIOUS transmission problems. Right now my transmission does not change gears at all. 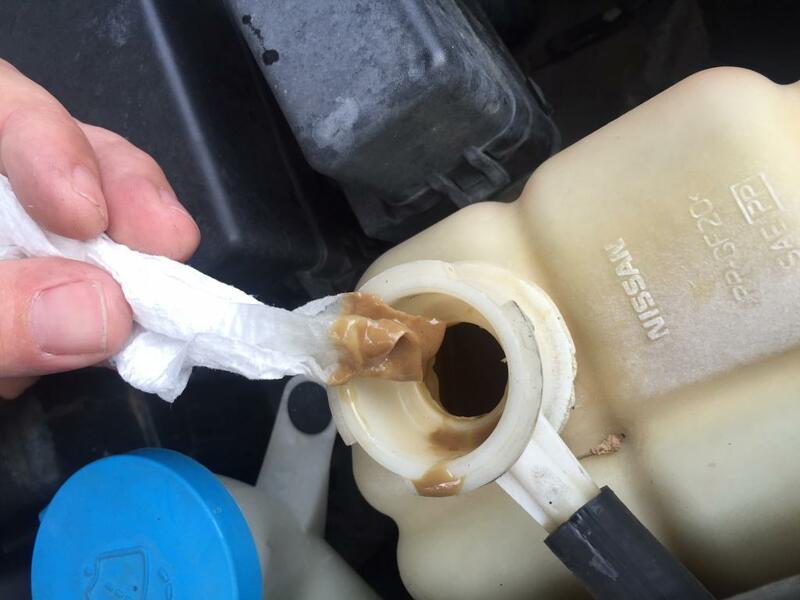 I replaced the radiator and transmission fluid thinking that would solve the problem, but never happened. My truck is currently parked, insurance cancelled and license plate turned in until I speak with Nissan concerning this problem. The reason for speaking with Nissan is because I went online and it shows Nissan suppose to have had a recall on the truck, however, I never received it. The only notice I received for a recall was for the Air Bag that Nissan claimed was only a notice to say that there will be a recall. Never received that recall yet. I would appreciate if someone could really look into this as I can see there a number of complaints out there concerning the same thing. 2006 transmission failed with 42,500 miles on it. It is out of warranty and I have to pay over 5000 dollars to have both radiator and transmission to be replaced. Nissan should have contacted owners and told them to replace the radiator. The persons I spoke with at Nissan told me they all replaced their radiators because they all knew it was a problem. Nissan would offer to pay around $2000.00 toward the repair but they are charging close to $8000. at the dealer to replace the transmission and radiator and no allowance toward the $500.00 rental car charge for 10 days, since this happened over Christmas. We have looked at trading our Pathfinder in and purchasing a new Murano but now, NO MORE NISSANS. Not only has Nissan lost a customer for life but I will complain everywhere I can. I brought this to a private car repair shop and had the radiator and transmission replaced for a total of $4381.00. half of what Nissan wanted for the job. Also, my car was 6 months too old to benefit from the $2k Nissan was offering for help with the problem. Only had 52k miles on this car and it looks brand new. It is the only vehicle we have and I did not have any choice but to pay and have it repaired. I had to borrow money from a friend which I just finished paying back and also take out a personal loan. The transmission repair shop said they have seen a lot of these and knew right away what had destroyed the transmission. Although we liked the Pathfinder LE very much, I will never buy another Nissan product because they obviously had a defective transmission design and refuse to stand by their vehicles. The extended warranty was a joke since most failures occurred beyond that period.